The evolving information landscape makes change in Harvard libraries—together, the world’s preeminent academic research library—inevitable. To ready the organization for the challenges of the digital and online era (pursuant to plans announced in December 2010; see www.harvardmag.com/library-10), the Harvard Library board in February approved a new organizational structure in which many functions, including preservation and digital imaging, information and technical services, and access services (such as circulation) will be shared. The aim is both to reduce duplication of effort across what had been 73 separate libraries, and to coordinate strategic initiatives going forward, particularly in digital collections and digitization of existing holdings, where the library needs to catch up with prevailing scholarly practices. But the path toward implementation has not been entirely smooth. One immediate consequence, as Harvard Library executive director Helen Shenton explained at a town-hall meeting with library employees in January, is that “the Library workforce will be smaller than it is now.” Absent further details at those meetings—notably, how much smaller, and what specific jobs would entail once services begin to be delivered on a shared basis—the news caused understandable consternation among staff members, eventually leading to protests by both librarians and students sympathetic to their cause. The latter at one point staged a weeklong occupation of Lamont Library (which is open 24 hours a day). In a message sent to the Harvard community on February 10, Provost Alan Garber, who chairs the Library Board, emphasized that forthcoming changes to the University’s library system are “essential” to bring consistency, improve users’ experience, and bring the libraries smoothly into the twenty-first century. His message followed a community e-mail from President Drew Faust, disseminated on February 8, on the same subjects. The nature and extent of any possible staff reductions were not clear as this magazine went to press. 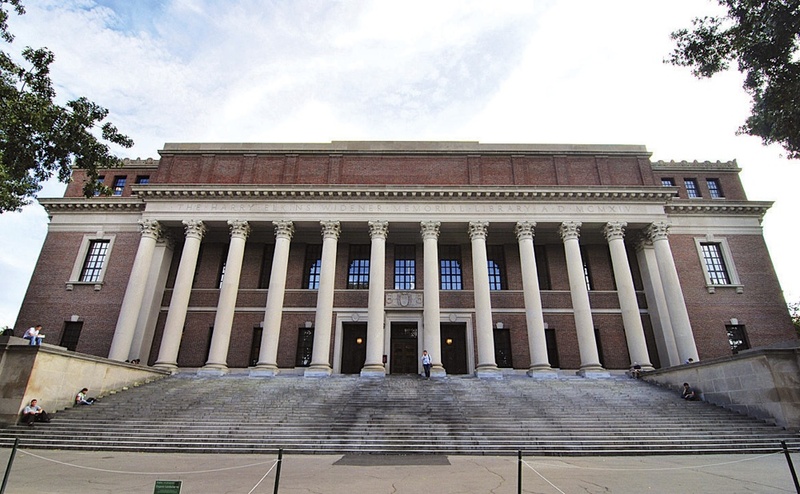 In early February, as part of the reorganization, Harvard offered a voluntary early-retirement package to 275 of 930 current full-time library employees—those 55 or older who have worked for the libraries for at least 10 years. Library officials expected to know in early April how many eligible employees had accepted the package. Layoffs may follow, depending on the response to the retirement offer. In a March 27 faculty meeting, at which some professors expressed concern about how the transition was being implemented, Faust acknowledged that the Library, which underwent layoffs in 2009, had still not determined what its staffing levels should be under the reorganization. Knowing that is contingent on the analysis of new needs. It also depends, Garber added, on the level of shared services that the centralized part of the Harvard Library will provide to individual libraries, now being discussed with librarians, faculty, and administrators within the graduate and professional schools. In the meantime, with the management structure taking shape (see www.harvardmag.com/library-11), newly appointed heads of the five new “affinity groups”—library clusters for the professional schools; physical and life sciences; humanities and social sciences; fine arts; and archives and special collections—began meeting to coordinate collection development across the University and with external institutions. New positions, such as “head of electronic resources and serials” and “head of metadata creation” were posted; and the Library and the Harvard Union of Clerical and Technical Workers formed joint councils to discuss possible staff reductions in the shared-services organization in the months ahead.